Obama Focuses On Native Issues, Climate Change As He Starts Alaska Visit : It's All Politics The arctic is the fastest-warming region on the planet, the president noted, adding the U.S., as the world's biggest economy and second-biggest carbon emitter, played a role in that. President Obama makes his way across the tarmac Monday to greet well-wishers upon arrival at Elmendorf Air Force Base in Anchorage, Alaska. 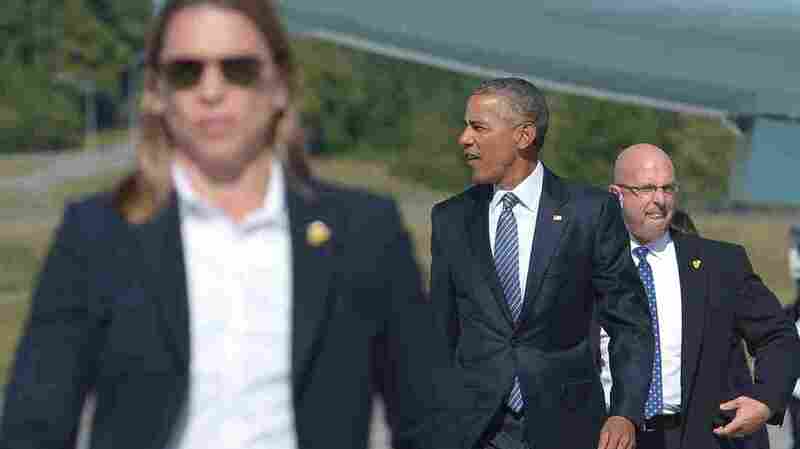 President Obama arrived in Alaska on Monday afternoon and spoke of renewed commitment to mitigating the potentially catastrophic effects of climate change, the Associated Press reported. "On this issue — of all issues — there is such a thing as being too late," Obama said. "And that moment is almost upon us." The arctic is the fastest-warming region on the planet, the president noted — and added that, as the world's biggest economy and second-biggest carbon emitter, "the United States recognizes our role in creating the problem, and we embrace our responsibility to help solve it." Poldine Carlo, 94, a founding member of the Fairbanks Native Association. The president drew an apocalyptic image of the consequences of unchecked carbon emissions. "If we were to abandon our course of action, if we stop trying to build a clean-energy economy and reduce carbon pollution, if we do nothing to keep the glaciers from melting faster, and oceans from rising faster, and forests from burning faster, and storms from growing stronger, we will condemn our children to a planet beyond their capacity to repair: Submerged countries. Abandoned cities. Fields no longer growing. Indigenous peoples who can't carry out traditions that stretch back millennia. Entire industries of people who can't practice their livelihoods. Desperate refugees seeking the sanctuary of nations not their own. Political disruptions that could trigger multiple conflicts around the globe." 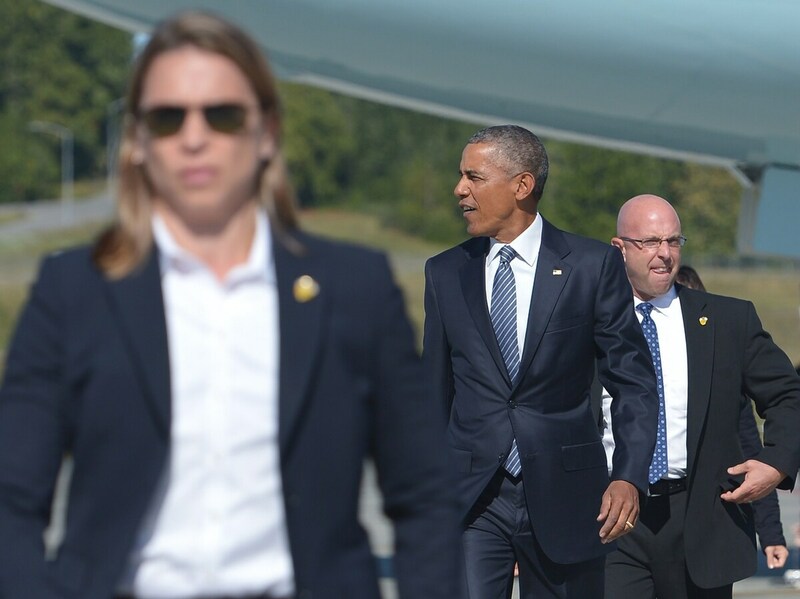 President Obama has a busy schedule during his visit to Alaska. On Monday he met with political and tribal leaders, Alaska Public Media reported, and his decision to rename the state's Mt. 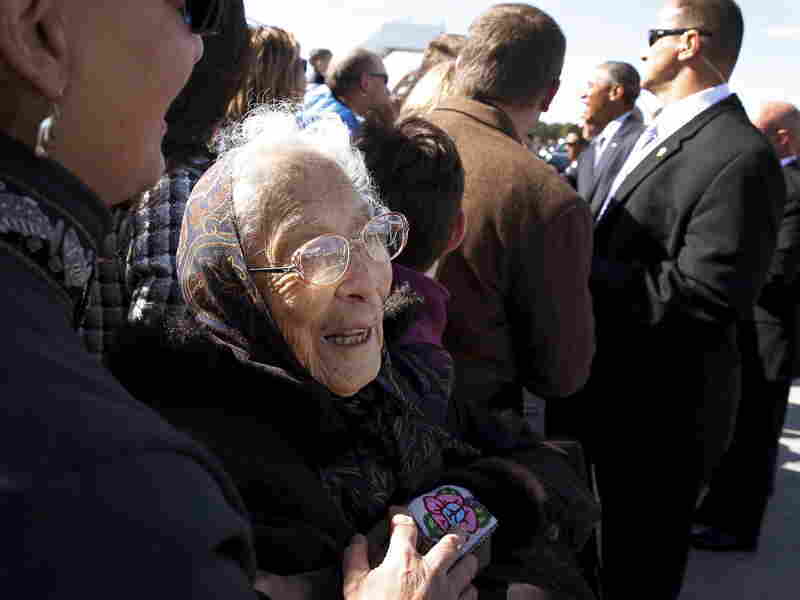 McKinley to the native-preferred Denali was celebrated by 94-year-old Poldine Carlo of Fairbanks, who sang to Obama in the Dena'ina dialect of the Athabaskan people. The decision to rename North America's highest peak was less well-received in other quarters Monday night, notably among some members of Ohio's congressional delegation, home state of President William McKinley, for whom the mountain was named. Later this week Obama will visit with salmon fishermen in Dillingham, on Alaska's southwest coast, and travel above the Arctic Circle to Kotzebue. He will be the first sitting president to travel to the Arctic. The president is also expected to tape a reality TV show segment with wilderness survivalist Bear Grylls.